Here in the high desert of central Mexico, in an 82-degree February of 2019, the San Miguel Literary Conference convened. 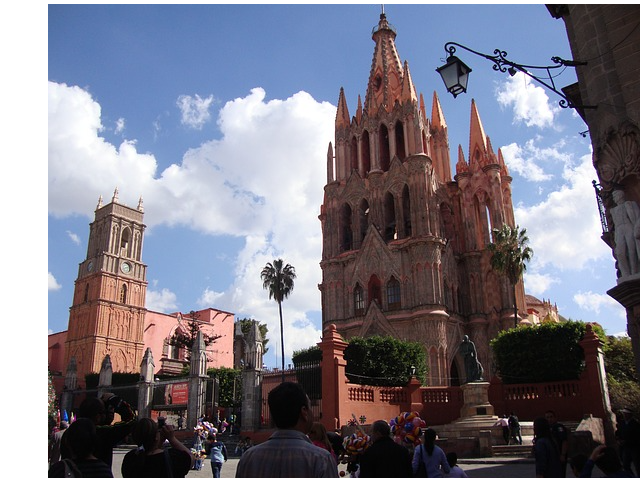 San Miguel de Allende is a town where the Mexican locals have long put up with a large population of gringos — mostly from the U.S. and Canada and mostly painters, poets, theater artists, and writers. For the last fourteen years, the literary conference has been, for the expat population and for a growing number of Mexicans, the annual pièce de résistance. Each of the event´s five evenings and one afternoon has featured a keynote talk by a prominent author. Among previous years´ keynoters are Gloria Steinem, Tom Robbins, Joyce Carol Oates, Barbara Kingsolver, John Berendt, and Sandra Cisneros. Adam Gopnik was one of this year’s keynoters. A staff writer for The New Yorker since 1986, Gopnik has written fiction, humor, book reviews, and profiles. His subjects have been food, art, parenting, liberalism, and gun culture. He was the magazine's art critic from 1987 to 1995, the Paris correspondent from 1995 to 2000, and from 2000 to 2005, he wrote a journal about New York life. Gopnik is also the author of one musical, “The Most Beautiful Room In New York,” and twelve books, including Paris to the Moon, The Table Comes First, and At the Strangers´ Gate: Arrivals in New York. His many awards include the George Polk Award for Magazine Reporting and the French government’s medal of Chevalier of the Order of Arts and Letters. Gopnik focused his keynote on the substance of his latest title, A Thousand Small Sanities: The Moral Adventure of Liberalism, which will be released in May, 2019. He titled his talk, “Living Liberalism: The Rhinoceros Manifesto.¨ When his seventeen-year-old daughter, Olivia, asked him to define the word ¨liberal,¨ he began by explaining that liberalism is like a rhinoceros. The idea of the unicorn is very important in Western history. But the problem with unicorns is that they do not exist. Rhinoceri — the correct plural is actually rhinoceroses — do exist. But they’re attractive only to a potential rhino mate. For Gopnik, this comparison mirrors the ideal/real notion of how people regard liberalism. Liberalism may not seem appealing until we realize how valuable it really is. The rhinoceros, he suggests, is the perfect heraldic symbol for liberalism. Gopnik´s intellectual hero is John Stuart Mill. 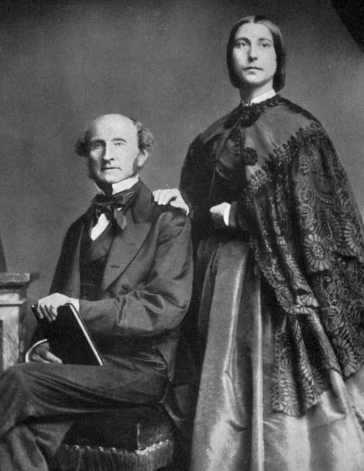 Mill´s intellectual hero was his paramour, Harriett Taylor, whom, Mill insisted, was far smarter than himself. She was the smartest person he’d ever known, and the two were utterly in love. But Taylor was married, so she and Mill had to meet each other clandestinely. Their meeting place? In front of the rhinoceros cage at the zoo, where everyone would be watching the rhinos, not them. Mill and Taylor believed in the absolute emancipation of women — at a time when that was unimaginable. Yet they recognized that freedom for women can be achieved only incrementally. 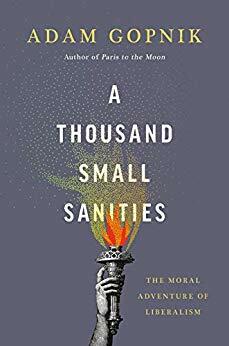 They were convinced that a thousand small sanities are always better than one big idea. After Taylor´s husband’s death, she and Mill could finally co-habitate, and they declared themselves married. But there was no ceremony. The fact that they never actually married, says Gopnik, is in the liberal tradition. The greatest American ever, for Gopnik, is Frederick Douglas. A black radical, he was an absolute abolitionist. But in his July 5, 1853, oration and throughout his life, he hailed the beauty of the U.S. Constitution. There’s nothing wrong with the Constitution, he maintained. It´s we who are wrong. He spoke not only of the assault on slaves but of the freedom of man. He went to Lincoln´s second inaugural, he went to the White House, and as he worked for reform, he chose the road of democratic methods. Will, Taylor, and Douglas weren’t centrists. They were radicals. But they believed in the power of reason. We don’t have to change everything to create social reform. Real change happens from the ground up. It´s from the common people that liberal values emerge. The building of the London sewer system in the 1850´s is an example of how liberalism works. Writers and philosophers of the time aligned with the people. Step-by-step, they devoted themselves to getting it done, so that people would stop being sickened by parasites. The great crime decline in New York, as in all American cities, is an example of extraordinary social change brought about, in large part, by grass roots, community action. That’s what people trust, and it´s where democracy happens. What connects liberals is the belief in reform through reason, not through declaration. Certainly not through the declaration of a national emergency! Autocrats try to shut down liberal societies. The Trump era itself is the real state of emergency. “Liberal” has become a beleaguered word, and people have come to think of liberals as weak. But liberalism just takes what we know about life and applies it to a political theory. It takes our natural practice of co-existence, of getting along, and turns it into a larger reality. Democracy, reason, pluralism, the common good, and liberalism mean much the same thing. The most important liberal tenet, Gopnik stated, is the power of social sympathy, which he defined as the ability to empathize with people outside our circle, people who are fundamentally unlike ourselves. Liberals want strict gun laws, for example, but they also understand that for people who feel powerless, the gun is power. Assault weapons are power symbols. So on the gun issue, the only solution is compromise. Liberalism means free institutions and freedom of dissent. It means free expression — don’t assume you know other people’s reality — and a free press that questions those in power. But it also means respect for the rule of law. Democracy isn’t genetic; it’s learned. India, for example, had liberal ideas imported to it. Those values worked, and they’re still there now, long after the British left. Liberal ideas come under assault from both left and right. Reactionaries from the right simply dismiss liberal values, while leftists ask: Can incremental reform really suffice? Leftists believe that the other side must be silenced. Shut down the opposition. Liberals disagree. They seek to forward their corrective conscience. The coffee house is the breeding ground for liberalism, the foundation for dissent. Coffee houses are never enough, but that’s where a healthy society and societal change begin. Liberal institutions don´t depend on economics. We must not confuse economic issues with our values. Free market societies, Gopnik declared, aren’t free societies. He also bemoaned the disappearing middle class and spoke of the two most important routes to reform: a higher inheritance tax and strong, aggressive pre-K.
Liberalism stresses the importance of personal activism. Bayard Rustin, who was black and gay, had the courage and persistence to organize the March on Washington. (Which i attended.) Martin Luther King was hopeless as an organizer. 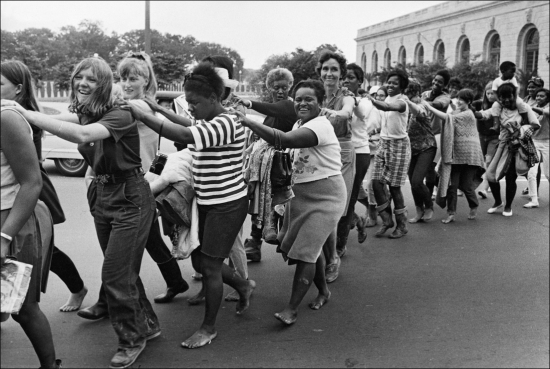 But Rustin, who never rejected Constitutional means, made the March happen. Throughout his life, Rustin worked for change, and he was sent to jail 25 times — 24 times for being black and once for being gay. In concluding, because he was speaking to an audience of writers, Gopnik stated that literature begins with more than a story; it begins with a voice. Novelists and story-tellers are important, he said, because they bear witness to the promise of liberalism. They assure that we keep our society sane.